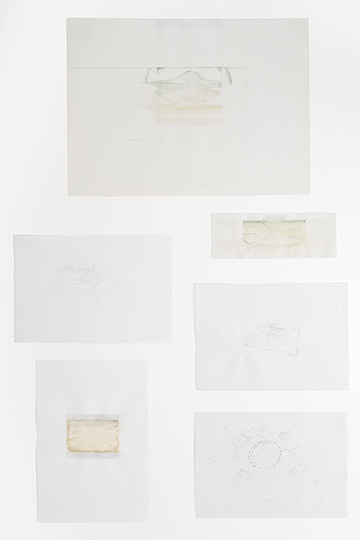 Throughout the years the artist has produced a considerable amount of notations and small sketches with a multiple variety of morphologies, subjects and purposes. 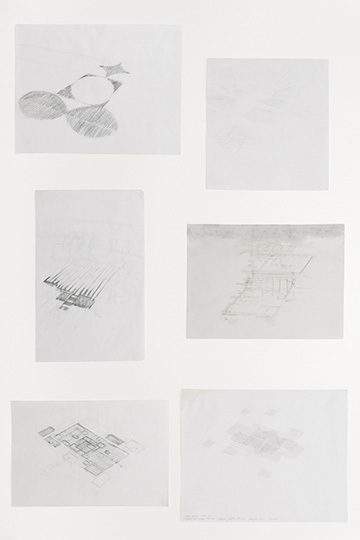 Some of these sketches reflect ideas about physical phenomena and space representation: vast territory extensions, urban aerial views, topographic maps, structures made out of the accumulation of layers and surfaces, radial and nuclear structures ressembling organic forms and constellations. 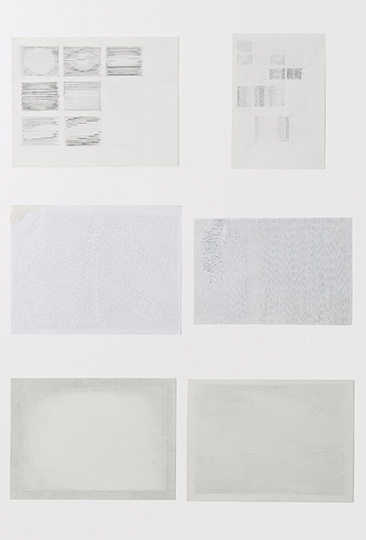 In 2011, coinciding in time with a growing interest in the creation of visual orderings, the artist started making compositions on walls or tables with drawings made in different periods of time, out of a necessity to establish associations among them. 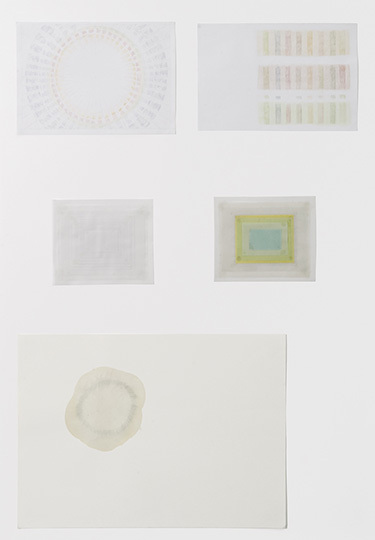 As a result, a series of four group of drawings with the name World, Extensions, Sun and Cinema were created and displayed on tables with a glass cabinet on top.